The Open Source Initiative® (OSI), the stewards of the Open Source Definition and the community-recognized body for reviewing and approving open source licenses, is announcing the affiliate membership of Open edX, the open source platform originally developed by edX. EdX is a nonprofit online initiative created by founding partners Harvard and MIT and composed of dozens of leading global institutions. EdX, through the Open edX course management system, offers interactive online courses and MOOCs from the world’s best universities and institutions. Currently over 6 million learners are supported on Open edX installations, with an additional 9 million learners accessing edX.org directly. “Last year the OSI extended our Affiliate Member program to include institutions of higher education, recognizing the growing engagement with open source on campuses. EdX, as both an open source project and an educational initiative, serves as a model for higher education where a commitment to not only open source licensing but also an open source ethos fosters 'a thriving worldwide community of educators and technologists who share innovative solutions to benefit students everywhere,'” said Patrick Masson, OSI General Manager referring to the Open edX mission. The OSI Affiliate Member Program, is available at no-cost to non-profits, educational institutions and government agencies--independent groups with a commitment to open source--that support OSI's mission to raise awareness and adoption of open source software and to build bridges among different constituencies in the open source community. "At edX, we've always had a deep commitment to open source. We cemented that commitment in 2013 when we first released the platform under the AGPL license in collaboration with Stanford University,” said Joel Barciauskas, Engineering Manager at Open edX. 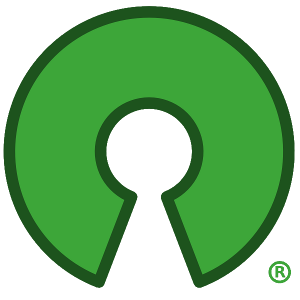 “Joining the OSI marks another major step forward in our continued commitment both to our open-source community and the open-source movement as a whole. Our new collaboration reinforces the mission at edX to increase access to quality education and technology around the world, and we look forward to working with the OSI to promote the values of open collaboration."